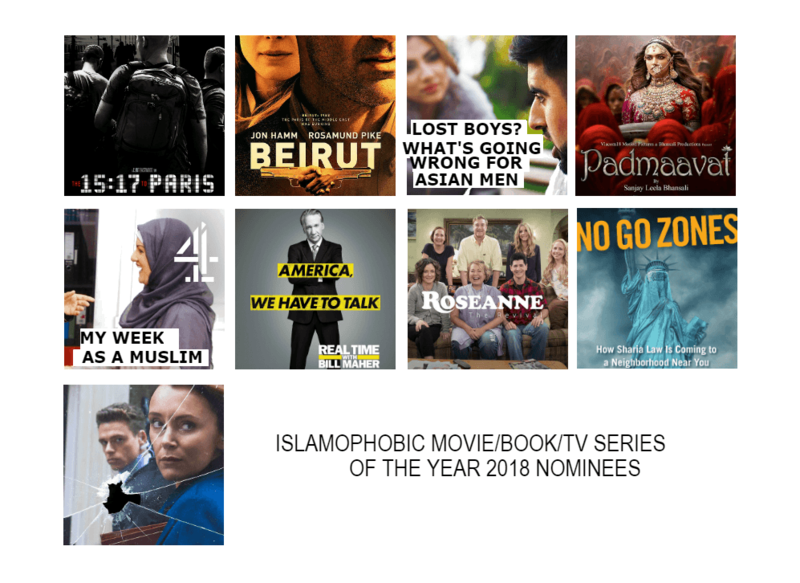 Home Activities Events Islamophobia Awards 2018: VOTE NOW! 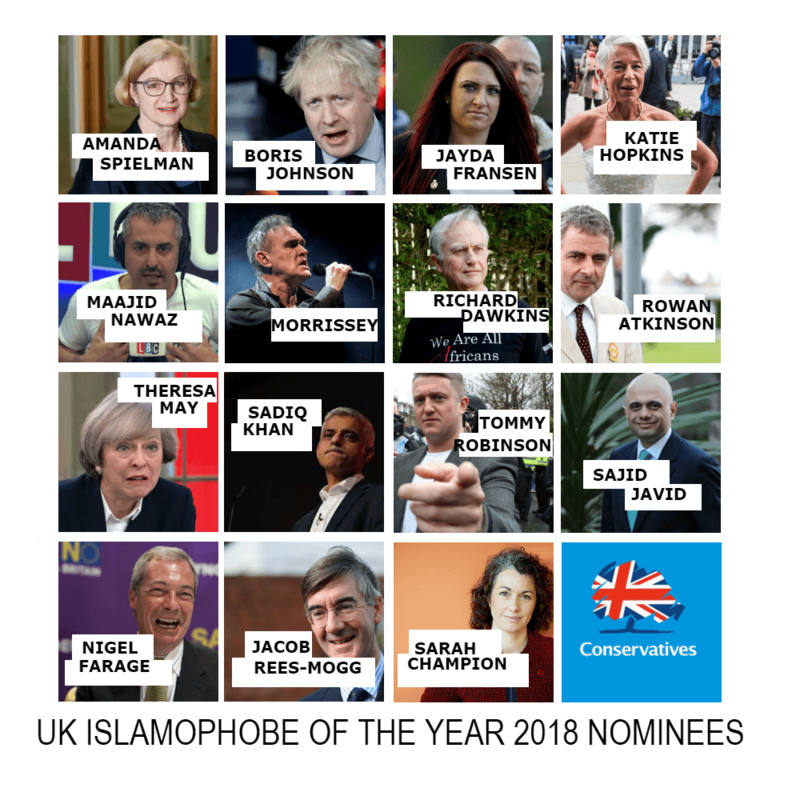 IHRC’s annual Islamophobia Awards is set to take place on Sunday, 11 November 2018. 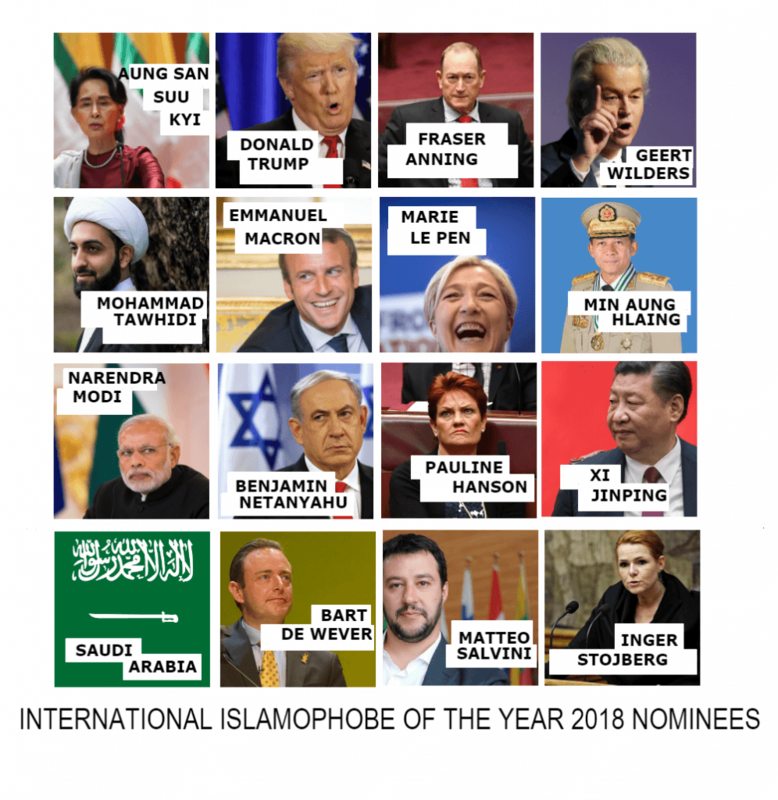 This evening of comedy and satire seeks to recognise the worst Islamophobes from around the world in four different categories. We asked for your nominations and you answered. 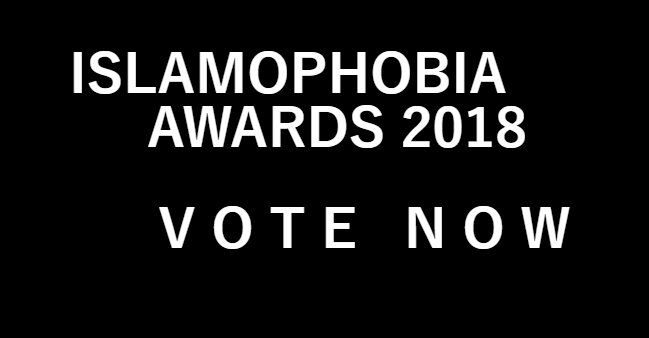 Now it is time to vote! VOTING IS NOW CLOSED. 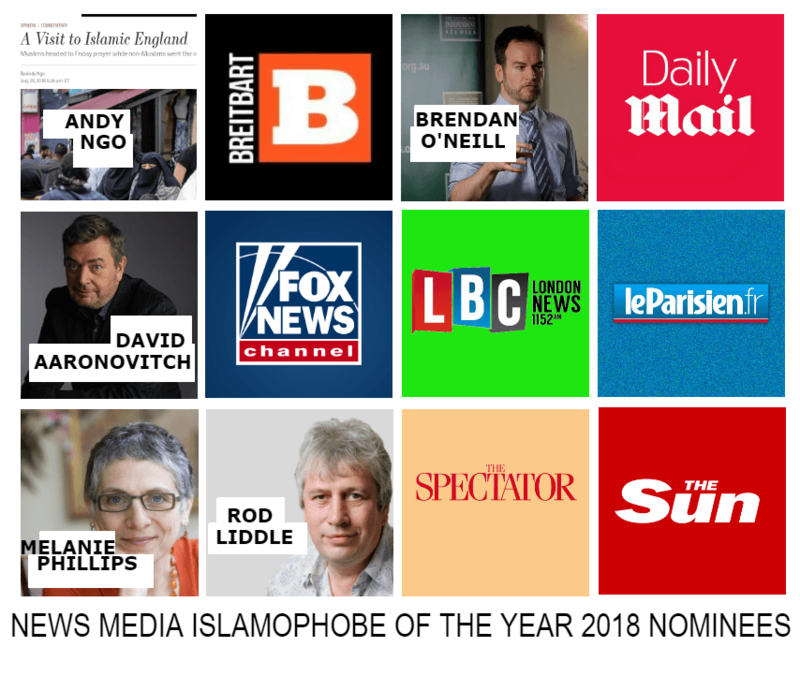 Find out the results at the Islamophobia Awards 2018 on Sunday, 11 November. Don’t forget your ticket!